We live in the age of technology, surrounded by gadgets to make our lives easier. With computers, tablets, and smartphones all this available at our fingertips. It is easy to understand why the art of handwriting is diminishing. For me, however, my love of writing things down is still every important and part of my everyday life. From to-do lists, shopping lists and notes to class teachers. On top of this, I write a large proportion of my blog posts by hand in a notebook before copy typing them up on my computer. Personally, I find it easier to jot down my thoughts and feelings without the distractions and temptations of being on the computer (a quick check of social media and I’ve lost 30 minutes of work time etc.). Today is National Handwriting Day and a day for everyone to celebrate the art of the written word. When I was at primary school I was taught cursive (joined up) handwriting. I can still remember how proud I felt to be the first in my class to get given a pen to use instead of a pencil as I had mastered the letter formations. Nowadays it seems that cursive has been brought back into schools with Tigger learning the same formations that I did (all those years ago). Roo, however, has only recently had to make the switch to cursive and it is funny to watch Tigger correct her letter formations and show her the correct way. Stationery – Ensure that they have easy access to pencils and pens. 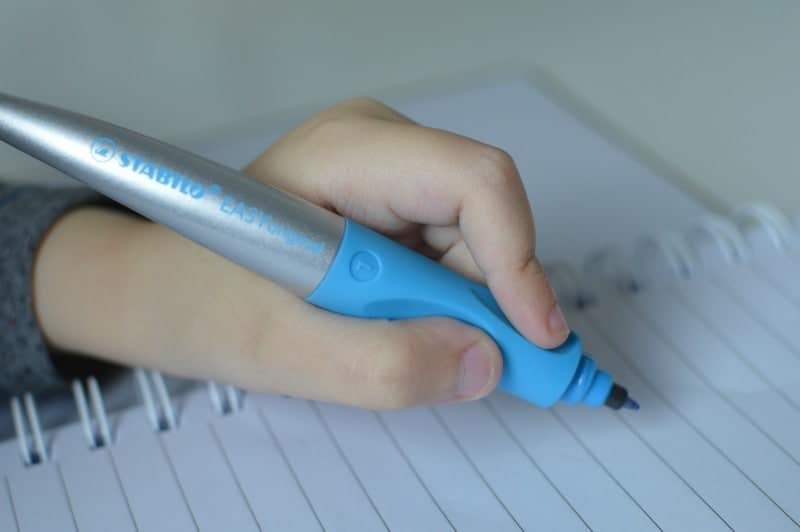 Personally, we love the EASY range from STABILO as they are not only great quality but encourage little hands to form the correct grip. With Tigger being left-handed it was something I struggled to explain to him until we got the EASYoriginal pens and EASYgraph pencils. Notebook – One of the best ways I have found to get children to write is if they have their own space to do so. Having a notebook or a journal – I have to recommend the Journal Planner for children from Hope House Press. It is Kraft cardboard journal that comes complete with 50 stickers ready for them to customise their journal however they want to. Their notebook or journal can then be the place that they store all their stories, thoughts and feelings in. Especially good for tweens whose bodies are rushing with hormones and need a private place to share their feelings. 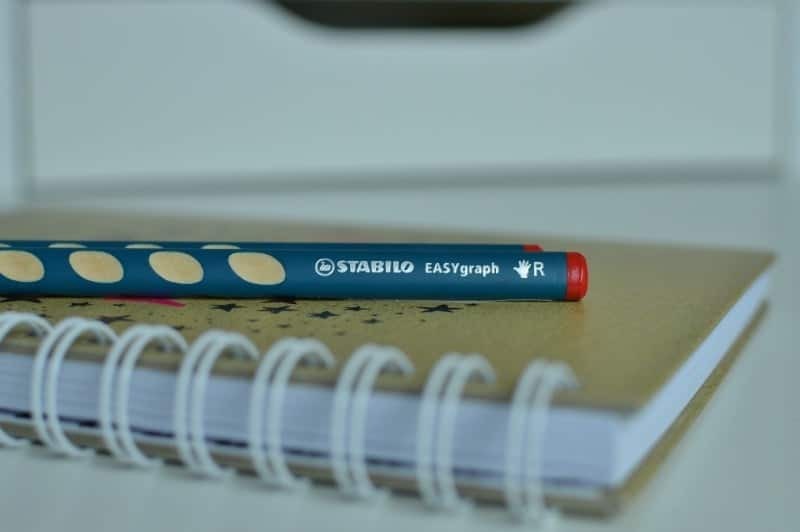 Pen Licence – Register with STABILO for a pen licence resource pack which will give you discounts on their products as well as handwriting practice sheets and top tips. To help encourage your little one with handwriting, STABILO have kindly offered a bundle of handwriting accessories for one lucky entrant. The bundle contains an EASYoriginal, EASYergo, EASYgraph and EASYcolors colouring set for either right or left-handed. We LOVE Stabilio in our house too! That pen looks so great to use, my twin girls love jotting things down and love their little notebooks!